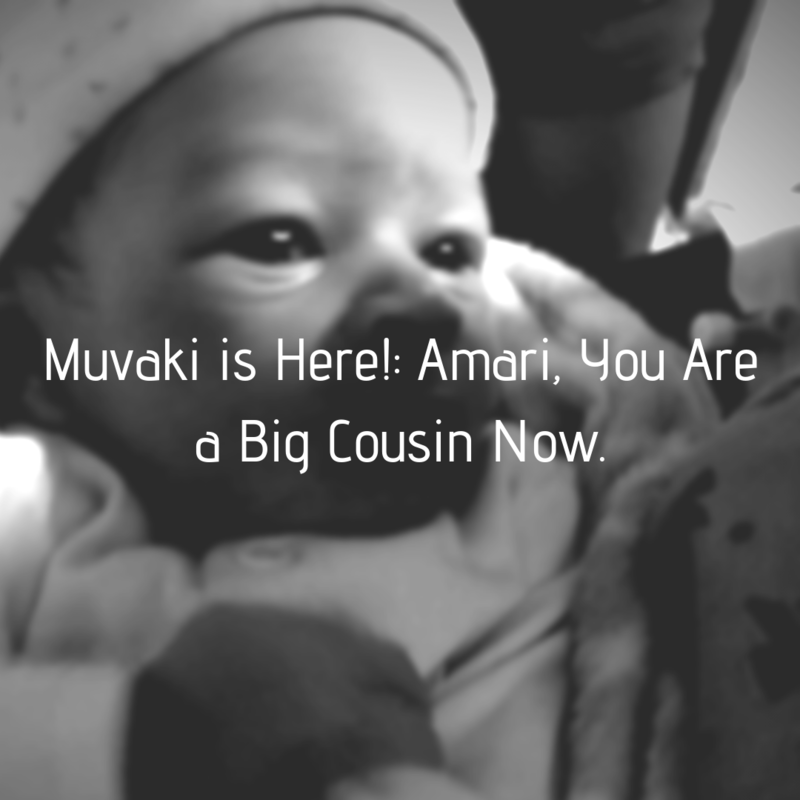 Muvaki is here: Part 1- Amari, you are a big cousin now. Due to my brother being intensely private and an entire ludite, I am here to say, I am an aunt! Not that I have not been one, but I have one biological sibling, and he now has a son. Mambo D- this is about you being a big cousin now- but why do we call him Sekuru? Let’s back track. My mother, Lynette and my father Danson have two babies. Me, your mom and Kudzi, your uncle- who you love. Dearly. I can see it. In English titles are easy because I guess I have been conditioned to think this way. I do not regret it because I have British heritage and so this is part of who we are, but I thought I would take the opportunity to teach you your Shona heritage- through Muvaki. It is weird that Kudzi is Sekuru to you and Daisy is Mbuya, because they are not actually your granny and grandpa like Dan and Lynette- right? Right. If we think about in a Zimbabwean context however, this is not weird. The reason Kudzi is sekuru is because in the event of his fathers passing, he takes over the household. So, Kudzi is now the head of the household since we cannot experience the physical Sekuru Dan anymore. He is therefor Sekuru, because he takes over the title of your grandfather. So why does Muvaki become Sekuru too? Oh well, that’s simple. Because when Kudzi dies, Muvaki takes over. In our Shona culture, this means that there is always someone responsible for the household- always a head of the home. Someone who takes the responsibility of taking care of everyone. Crazy? Not really, its about divisions of labor. Also, it is patriarchy, the men take over households, I mean I am Mbuya somewhere else in your dad’s family. You will see in time though that on your dad’s side it’s not so traditional- probably why I fit in, if I do say so myself. Welcome to the world baby- it’s not one size fits all. Daisy becomes your Mbuya by virtue of being Kudzi’s partner and Mumu’s mommy. In our English culture, she is your Aunt. I will write to you more and more about the Shona equivalents of titles we say everyday in English, and hope that you understand them as time goes on. You will obviously decide how you refer to people the more you get to know them. Whatever makes you comfortable. Girl. God chose the right family for you because though we know the titles, we do not expect you to have to bow and curtsy to Muvaki. We are not that traditional. You can call him whatever the two of you decide to call each other. What I do hope for right now is that you build the strongest bond of love together. He is not your boss, or your dad or your granddad. He is your companion. He is YOUR Muvaki. My wish for you is that just like your uncle Kudzi and I, you protect and love each other fiercely. My plan is that you will see each other very often and grow together- that you have a bond that is like siblings even though you are children of siblings. My hope is that you call each other often if you do not go to the same schools and universities and know that each of you have the other to lean on. Welcome to the village Muvaki! We are so blessed to have you!